You are here: Home / Featured Communities / Arcadia / Excited This Season About Arcadia Homes for Sale? Are you interested in Arcadia homes for sale? Arcadia is not an actual city, but is a happening neighborhood within Phoenix, Arizona. It is often considered to be stretching from 44th street to 68th Street and from Camelback road all the way to the Crosscut Canal. Why all of the buzz about this one area of Phoenix? 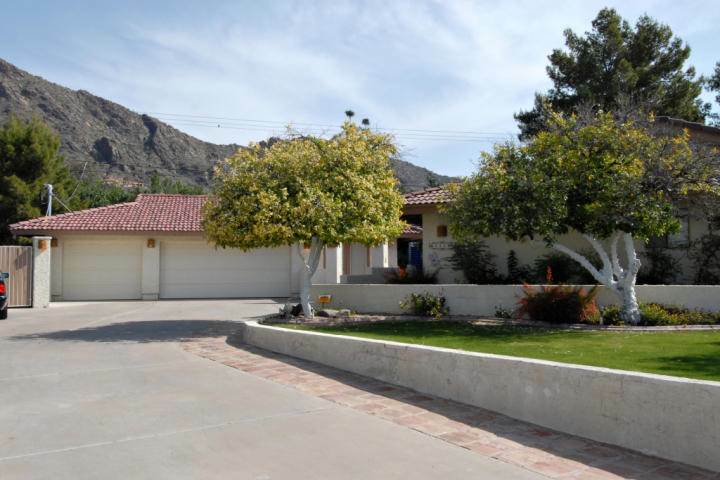 The neighborhood is very close to the upscale area of Scottsdale, and thus tends to be of higher value. It usually has very well-kept homes with large beautiful yards and modern amenities. Many yards in the area even have citrus trees growing in them as a throwback to the history of the area (and the fact that the land used to be all orange and lemon groves). No wonder Arcadia Phoenix real estate is really booming; who doesn’t want to live in a high-class area that still maintains some real character? This area is so beautiful and green, the homes so well maintained, you will actually be proud to live in suburbia! Homes for sale in Arcadia AZ are found on the east side of Phoenix and the name actually means a peaceful place. In fact, the area was voted as one of the best places to live in the United States by Money Magazine. Nearby, you will find everything your heart could want for a happy life. The area has everything from hiking and camping in the Camelback Mountains, to shopping and top-notch dining, not to mention all the art galleries and nightlife fun. You get all the charm of country living with all the perks of city life! For those with children, you can rest your minds knowing that the area has truly topnotch public and private schools. There are also plenty of things to keep kids busy in the area, from the nearby zoo to discoveries at the botanical gardens and fun at Arcadia Park and Papago Park. Arcadia homes for sale really vary in price range, some starting at $300,000 while others are well over one million. Architecture has a wide range, from sprawling six bedroom ranch homes to full Spanish style villas. Many homes in the area have swimming pools and some even feature guesthouses.